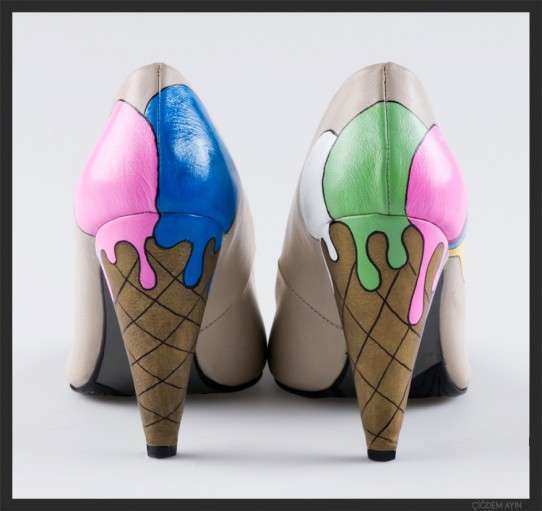 There are few people who can resist a sugary, sweet treat, which is exactly what these candy-inspired shoes look to help imitate. Candy is notoriously flamboyant and intensely colored, which is why it makes perfect sense that it would stand to be the inspiration for a number of sky-high stiletto and sneaker designs. 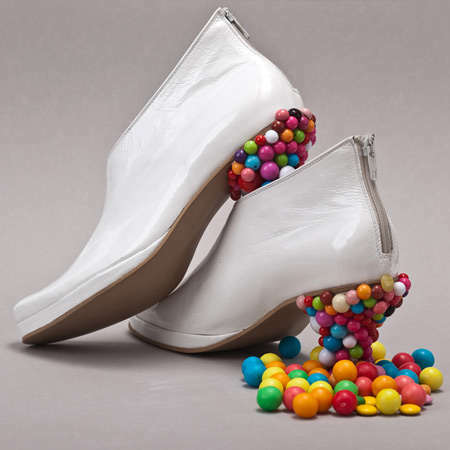 It is interesting to note that while candy is synonymous as being a special treat, so too is a flashy pair of over-the-top shoes for an obsessed fashionista. The majority of glitzy styles that help show off your gams feature vibrant paint work, candy-embellished heels as well as heels that are themselves made of candy like the Belma Arnautovic pumps that use Skittles as a functioning form of footwear for sweet results.